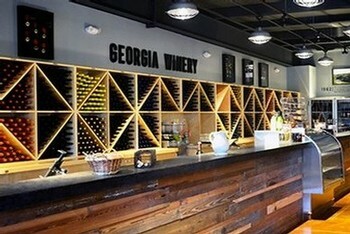 The Georgia Winery offers 5 complimentary tastings daily - both dry and sweet. The tastings include 4 wines chosen for you and 1 wine of your choice, and they change monthly so that you can always try something new! 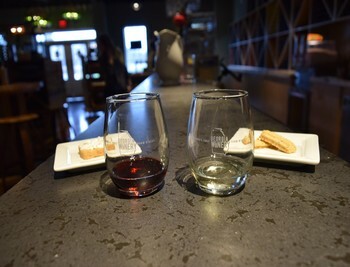 If you are still curious after 5, we have Premium Tastings available for $5, which include 3 wines of your choice and 2 hand-crafted with food pairing samples. 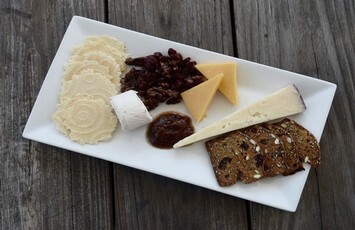 After your tasting, you can enjoy Wine by the Glass accompanied with a Cheese Plate or a Hummus Plate. We also have tours available if you are interested in the Winery's history and story on Saturdays at 1:30, 2:30, and 3:30. Following the tour, the Winery has a gift and wine accessory section filled with unique gadgets that would make the perfect present or you can keep them for yourself!